Since a few months I publish a newsletter for my family and friends. One of the objectives of this newsletter is to share my entrepreneurial journey. It contains the latest news about To-Do Studio, the startup I founded with Erik Renaud. Our company designs and markets a software service that allows leaders to empower others to take initiative. 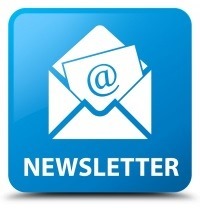 The newsletter is intended to offer a privileged look at the path of a startup company. Encouraged by the positive comments I receive, I decided to give access to the newsletter to readers of this blog. That’s why I invite you to subscribe to my newsletter. The newsletter is free. It is published every 2 months, 6 times a year. The subscription does not require any obligation on your part. The only information you must provide to register is your email address (it will never be shared with third parties). You can unsubscribe at any time. If you wish to preview the content of the newsletter, I invite you to read the first issue here. PS. Following registration, if you do not receive quickly a confirmation email, check your Junk Email inbox. Categories: Announcements, To-Do.Studio | Tags: Entrepreneur, Newsletter | Permalink.